Many business owners have seen one of two things when they decided to hire someone to build their website: 1. The person generated a great looking site but nobody can find it, or 2. Their business is showing up for their keywords, but the programming on the site and design of the site is not to the standard that they want their business branded as. At Marketable Media, we conquer these issues as we have the experience to generate great looking designs as well as the ability to generate the visitors needed to get the phone calls coming in. Our goal is to work with our clients to get them a design that they love as well as prep the groundwork so the website can rank. We have seen many circumstances where we can implement the basic methods of Search Engine Optimization into the website development and generate the visitors needed to get our client’s business to the next level. There are also instances however where a certain industry would need an additional aggressive marketing campaign to generate these results. The best way to find out what direction to take your business is to contact a member of our team today. 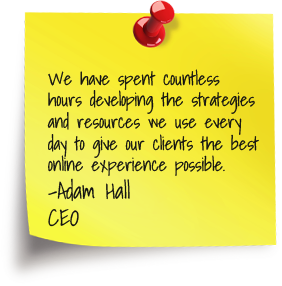 There is no doubt they will be able to help you get your business moving in the right direction. What’s Needed in Quality Web Development? Call (208) 522-1072 or (888) 588-3506 with questions. Hosting is required for any website to be on the internet. Choose a hosting package that meets the needs and budget for your business. Paying annually for hosting allows our clients to receive 50% SAVINGS over our monthly hosting option. Integration of additional plugins a client would like above and beyond what is offered in website. Standard plugins include translator, calandars, calculators, slideshows, and more. 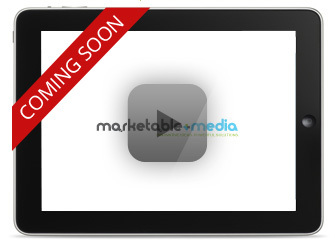 Please contact a Marketable Media representative for more information on standard plugins available for websites. Our standard web maintenance package allows for 2 additional hours of design and/or support EVERY month. Our advanced web maintenance package allows 4 additional hours of design and/or support EVERY month. Our web maintenance services offer our clients a 33% SAVINGS over our standard design and programming rates. Our website content add-on is the perfect choice for the business owner who doesn't have the time to put together all the content and information on their website. The content written is optimized and focused on generating the best rankings possible in the search engines for your industry's best keywords and phrases. Don't have images of your business or industry? No Problem. We have a wide selection of images available that will compliment the look of your website and give the visual appeal your website needs to look professional on the internet. Installation of Google Analytics onto client's website. Create an account for the client to log into and view any reporting/ statistics for the website added. Our advanced install offers an extra edge with the installation including customized reports setup, multiple websites added, sharing options, and more.